Part II :: We rewind the dial to 2008 for our second instalment of Luciano. 2008 was the year of change for Luciano. As well as leaving his career-defining Circoloco residency, he had recently moved from Berlin to a small Swiss village near the French border to get away from the non-stop party lifestyle of the techno capital. With two kids, then aged four and six, he had to prioritise being a dad. He also cut back on gigs having done up to three a weekend for almost a decade, and instead focused on setting up a serious studio and recording booth where he could prioritise music making. It was a time when his sound slowly switched from techno towards house, towards more organic aesthetics, older tracks and more vocals. “When I’m DJing I like to compose. I’m always bringing vocals or acapellas into my sets. Vinyl is like an analogue instrument and you must do something with that instrument,” he said at the time. And the second part of the mix he did for us in 2008 bears that out. It sure does find the Swiss-Chilean master in peak party mode, but the drums are bouncy and filled with house’s raw and expressive emotions. It veers from raved-up and filled with sharp stabs to deeper, more driving stuff with trippy little chords and libidinous vocal sounds. There are also some classic throwback jams mixed in—such as the still timeless ‘The Sun Can’t Compare’ from Larry Heard-as well as some of the stringy and trademark Latin percussion which defined much of his career. 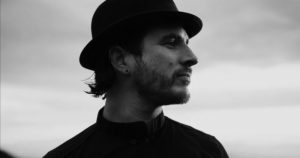 The rest of 2008 saw the newly family-orienated Luciano work on his next and -to date – last album, ‘Tribute to the Sun’. Since then, he has put out only the odd EP each year, and pretty much only plays the major festivals to huge crowds. As such, this mix somewhat marks the end of Luciano’s imperial phase, a time when he was one of the most thrilling and fawned over DJs of the day. He remains an Ibiza Voice icon to this day.